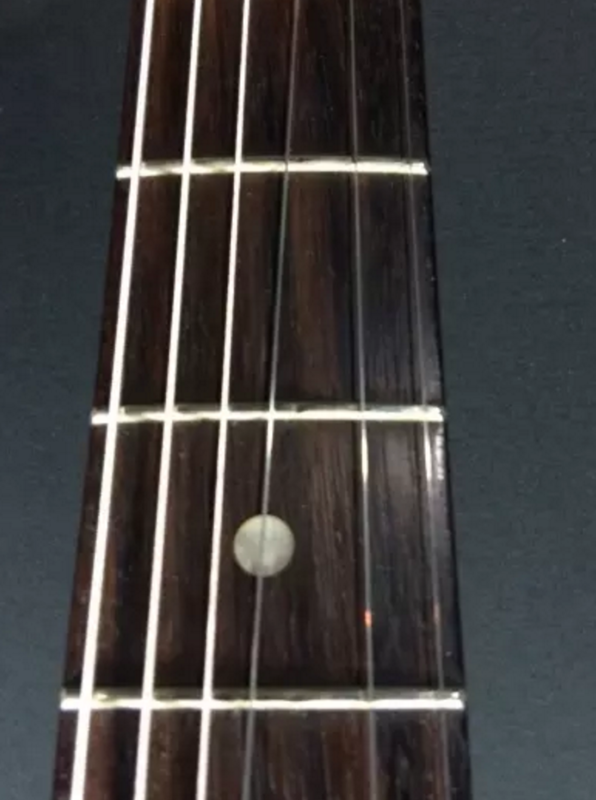 What condition are these frets in? Discussion in 'Luthier's Guitar & Bass Technical Discussion' started by shakeshakeshake, Apr 24, 2016. Useable. People often think that you need to level the frets as soon as you see divots. But that is not the case. In fact, I've made a lot of money dressing frets that were still useable for another year or two (depending on how much you play). Sometime you can't talk people out of there misconceptions. Unless you are having fret ting issues, I would leave them for now. If your action isn't right down on the frets, or you are not getting any buzz... keep playing. But eventually - time for a level. Impossible to comment. Does the guitar play buzz free (or with what you think is acceptable buzz) with the setup the way you like it? If it does, it may be o.k. At least for a while. If it does not meet your specifications the frets need to be dressed. Difficult to tell from a 2D picture, but they appear to have life left. You are going to need a fret level at some point down the road. The question is whether you are ok with the height of the frets now and whether you will be ok with them after the levelling. Ask about prior fretwork and how high they are now, and figure out if you can get by without a refret for a longer period.